◈ Abstracts should be written in clear English language with no grammar or spelling mistakes. ◈ The length of an abstract should not exceed 400 words. ◈ The deadline to submit abstracts is Tuesday, 28th of August 2018. 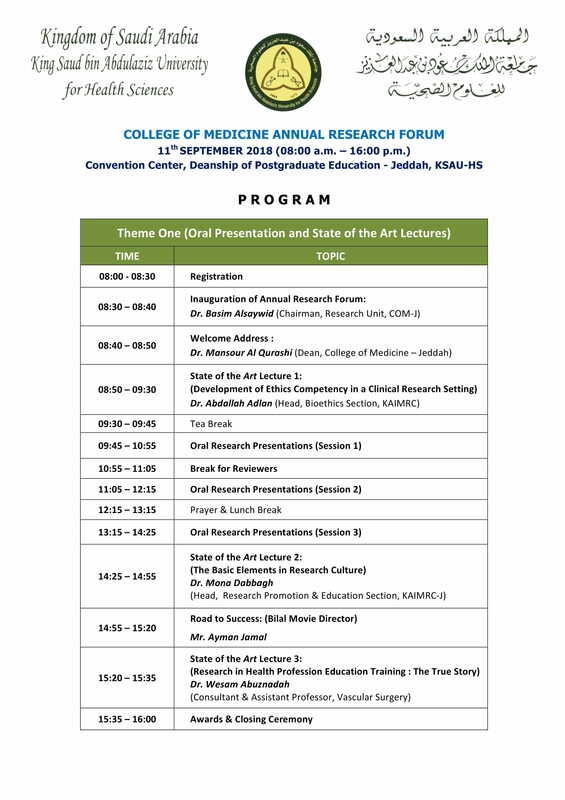 ◈ The author can select the preferred method of presentation, oral or poster; however, the final decision of abstract presentation is up to referees’ recommendations. ◈ Only one of the authors can present. ◈ Each presentation is permitted 8 minutes. 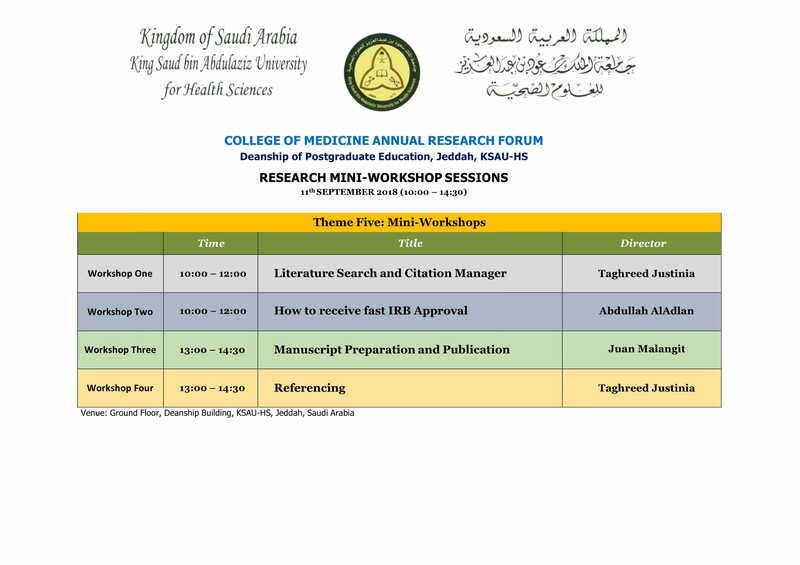 We encourage you to attend and to enjoy this very important regional forum’s program and register as early as possible. 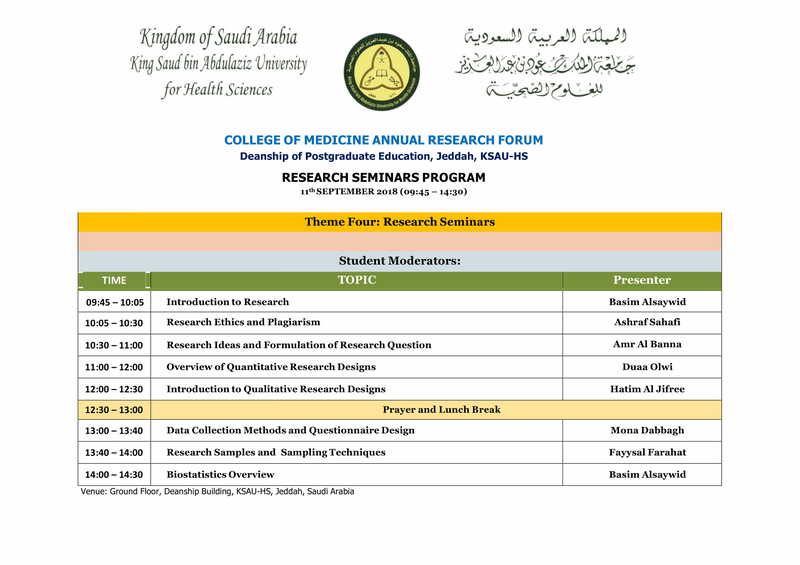 We look forward to seeing you at the College of Medicine Annual Research Forum.